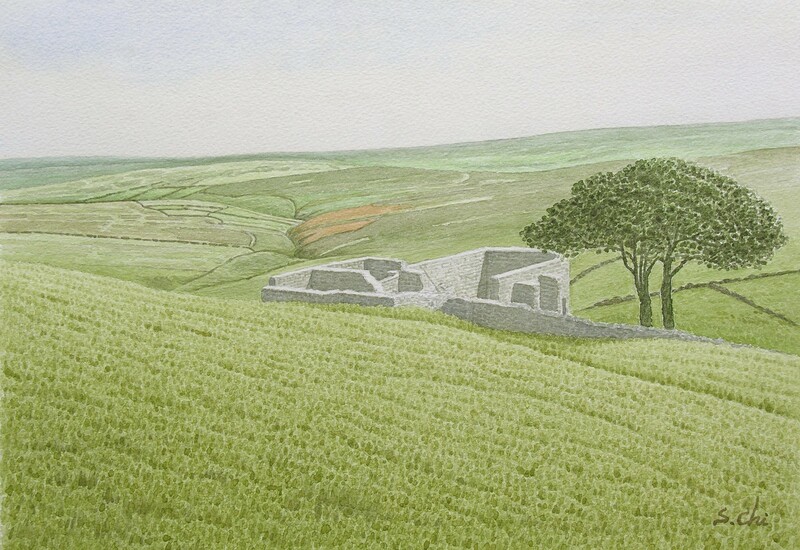 The roofless ruined farmhouse and two trees are the symbols of Top Withens. 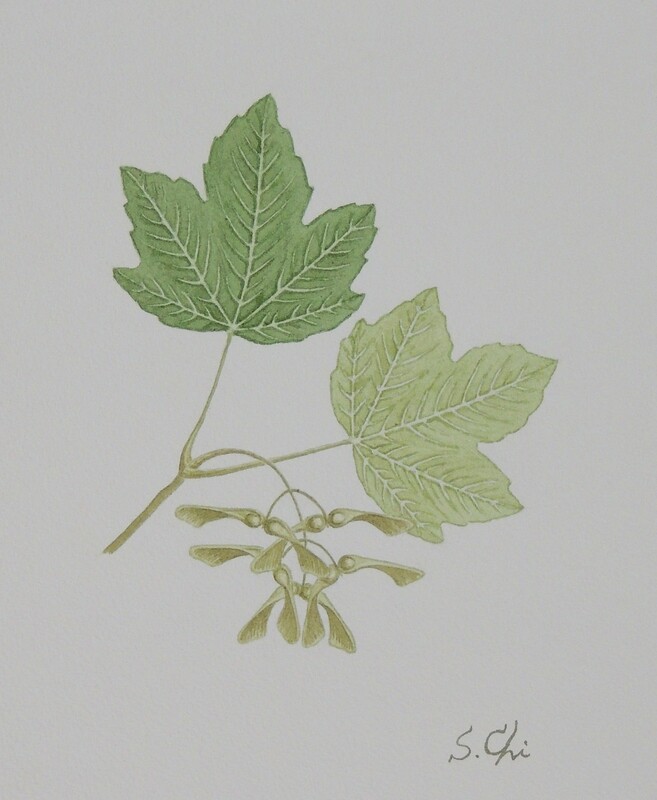 The tree which looked like only one tree from the distance were Sycamore trees, one of several popular kinds of trees associated with the Yorkshire Dales. They are often planted to shelter farmhouses and burns from the wind. The plaque on the wall near the entrance says as followings. "The farmhouse has been associated with "Wuthering Heights", the Earnshaw Home in Emily Brontё's novel. The building, even when complete, bore no resemblance to the house she described, but the situation may have been in her mind when she wrote of the moorland setting of the heights." Top Withens is not actually the top of the hill. The slope spreads over the great distance. The soles of the hills in Yorkshire are very gentle and the hills are, so to speak, as flat as a pancake. It is hard to point out where the top is. One and a quarter miles away to the north-northeast from Top Withens, there is Ponden Hall, the model of "Thrushcross Grange" in the novel, and three quarters of a mile to the north, there is Ponden Kirk, the model of "Penistone Crag". I wanted to paint this famous farmhouse very much. If I had just painted a ruined house, it might not have been identified with the one at Top Withens but one somewhere else. I sometimes saw such houses in other places. I eventually decided to paint the house in this composition which is often taken by photographers. Seeing the ruined farmhouse and the moors far away in this composition, people would be able to recognise it as the model house even though there was no caption. This is the very farmhouse at Top Withens.